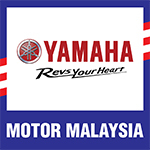 The Free Practice session for ST category in the 2013 Yamaha ASEAN Cup had a mix of title contenders from all over the South East Asian region but Malaysian Mohd Shariffuddin Shamsuddin looks set to place himself further up front by being the Malaysia’s fastest Yamaha rider. Shariffuddin who clocked his quickest lap at 2:04.359s had a smooth run around the full track of Sentul Circuit with the Yamaha YZF-R15, a race machine still in development stage by Yamaha. “I’m still trying to get used to the bike and I must say, it is a bit harder to control than the ones I’ve ridden before. Although the engine is bigger, the top speed can only reach about 130km/h due to machine weight factor and engine cut-offs,” explained Shariffuddin. Compatriot, Izzat Zaidi Salehan (2:04.984s) was the second best Malaysian despite his lack of experience full-fairing bike, not to mention a first-timer on the Sentul track. Muhammad Taufiq Roslan who logged in 2:05.113 had the same view on the machine and track itself. All three Malaysian riders wrapped up the practice sessions 13th, 14th and 15th overall behind Paitoon Nakthong from Thailand in second and Japanese Taiga Hada in third. Fastest of the session was Paitoon’s teammate, Prawat Yannawut. Meanwhile Tengku Amirul Haffiruddin became the fastest Malaysian at the Sentul track in the MT class. Tengku Amirul who had his first taste of the Yamaha Jupiter Z1, an underbone machine equipped with fuel-injection ran a clean session despite not having any experience on the bike prior to the weekend. With a time of 2:04.420s in sixth overall, Tengku Amirul put himself as the fastest Malaysian for the day ahead of Muhamad Adib Rosley who recorded his personal best at 2:04.571s while Abdul Muhaimin Roslan timed 2:05.191s. Fastest rider for the whole Free Practice session was Reza Dhanica from Indonesia followed by his teammates Herman Bass second and Ricard Taroreh third. Reza clocked in 2:01.289s. “Looking at the Free Practice session, this race will be quite tough for me especially with no experience on the machine and the track itself. Not only do I have to learn the ropes here, I also have to do it fast,” said Tengku Amirul. Team manager, Michael Chai exclaimed that the performance of the bike is generally good. The electronic fuel-injection assisted in the acceleration of the Jupiter but his team and mechanics are still trying to fine-tune the machine for optimum performance.